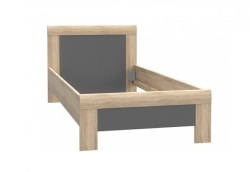 If you need a practical, beautiful and at the same time inexpensive bed, we recommend to consider the options of products made from the popular furniture material - chipboard (chipboard). 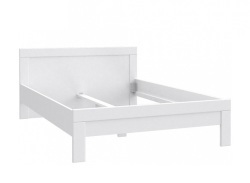 They have an attractive appearance, are inexpensive, easy to transport and assemble. This is an ideal solution for young buyers who are just setting up their new housing, the service industry of hotel services, sanatoriums, recreation centers and other similar institutions. A large range of colors and shades allows you to purchase a bed with chipboard in Ukraine, ideally choosing it to suit your interior style. 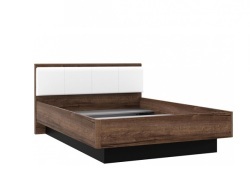 At the same time, beds made of chipboard are a fairly low-cost category of furniture, so you can get a cozy and comfortable living environment with minimal expenses. 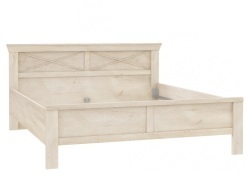 Almost all furniture manufacturers have in their arsenal a wide choice of beds of this type. Chipboard material is easy to process, allows you to quickly give the desired shape of products. Cutting on patterns is made on automated lines, so the price of furniture from it is more than affordable for buyers. Consideration should also be given to good chipboard performance in terms of wear resistance and strength. Furniture made of chipboard is very common and popular. Products manufactured by the furniture industry under the USSR still serve. 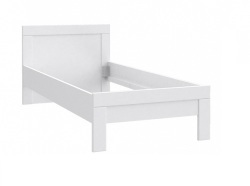 Therefore, a bed made of chipboard is the most reasonable option at a reasonable cost. 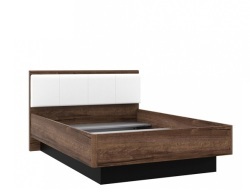 Currently, manufacturers have thoroughly improved the production technology of furniture and, in particular, beds made from this type of material. Buyers get even more advanced products, designed for long-term operation. Each product manufactured by these furniture factories is characterized by high quality workmanship and a very beautiful appearance. 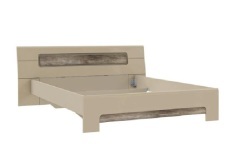 A practical bed made of chipboard will decorate the interior of your bedroom, create additional comfort, help to recuperate after a busy day of work. Furniture will serve more than one generation, performing its functions and not losing an attractive appearance. For residents of the city of Kharkov, we offer services for a free assembly for purchases from 3 thousand hryvnia, for buyers from other cities of Ukraine, the purchase of the specified amount and above will be delivered free of charge to the specified destination. We also offer to visit other sections of the catalog of our online store and fully equip the interior of your apartment or house with comfortable, practical, high-quality and very beautiful furniture. 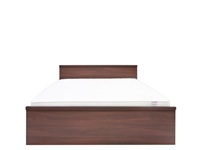 Here you will find the most attractive conditions, including offers for free delivery, in addition, loyal prices for the entire range of products serve as a clear incentive to buy a bed from chipboard right now. We also invite you to join our online Facebook community and get more benefits from your purchase by first learning about promotions, participating in contests and quizzes.